Check out this review of the Marco 480 Blazer (first published in October 2006). 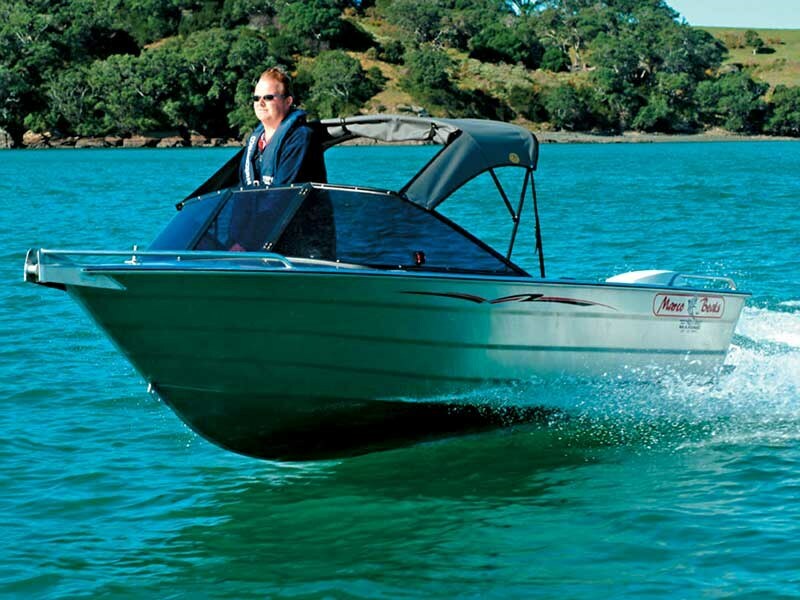 Waikato-based Marco Boats has produced aluminum boats ranging from 3.6m to 7.6m (2006). Billed as a general-purpose boat offering good stability and space, the Marco 480 (4.9m) offers enough room for three adults room to fish in comfort. In sheltered waters, it’s also a good ski boat. Safety features include two sealed buoyancy compartments that help the vessel cope with a swamping. 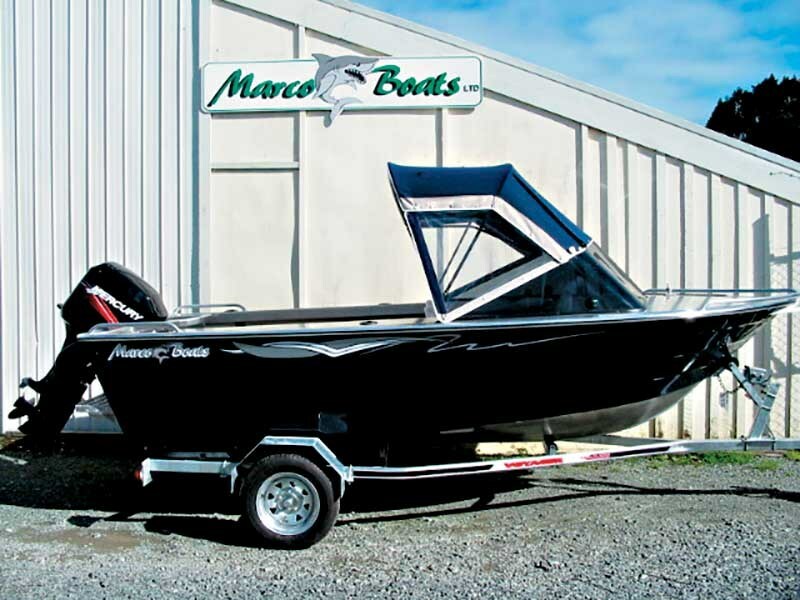 The outboard supplied with Marco’s 480 package is a two-stroke, 50hp Mercury (max 60hp) Included is a canopy, painted hull, an anchor pack, a fishfinder and a bait board. Standard features on the Blazer include two swivelling pedestal seats and two rear seats. Like many aluminium boats in this class, it has a walk-through windscreen for quick, easy access to the anchor locker. The boat’s also equipped with navigation lights, a four switch panel and loom, a bilge pump and four rod holders. The boat can be supplied carpeted. Good storage space can be found under the seats, as well as in the full-length shelves either side of the cockpit. 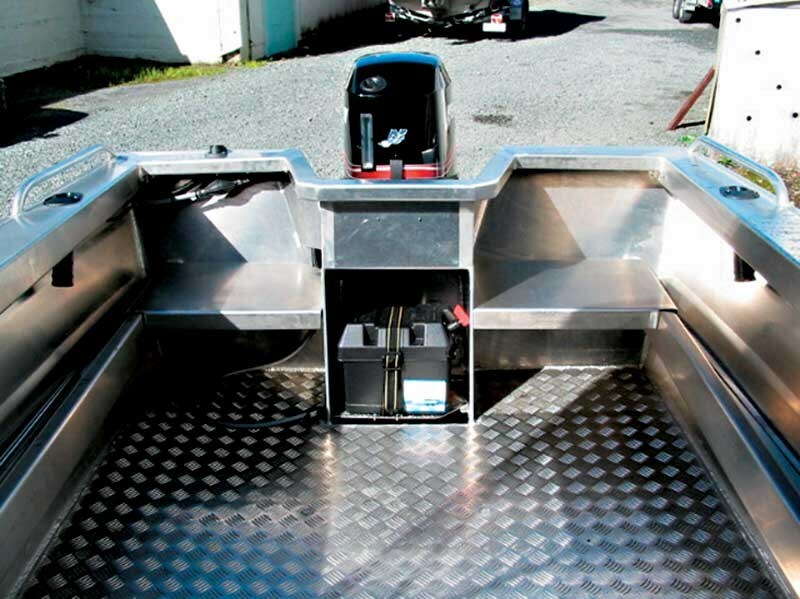 The alloy construction offers low maintenance and easy cleaning: the cockpit’s treadplate floor (without carpet) means an easy wash down after a day’s fishing. Aluminium construction and the 50hp Mercury combine for an overall towing weight of is 650kg. 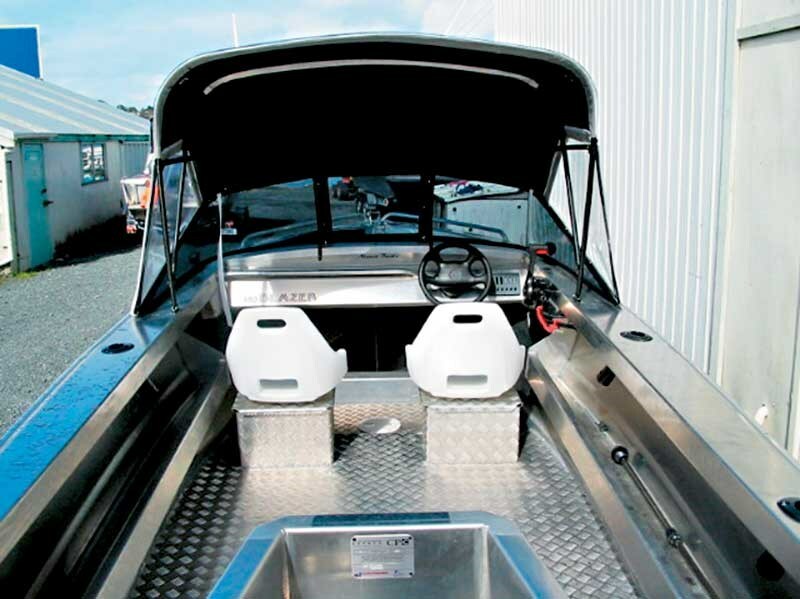 By itself, the hull weighs 290kg, making the 480 Blazer an easy boat to launch and retrieve. The boats are suited to general family boating and the hulls have proved themselves as easy-riding, predictable vessels.